“Energy efficiency is too expensive, will increase costs to consumers and push people into energy poverty” – this is a claim made by some commentators in Brussels recently. As the Energy Efficiency Directive is being negotiated in the Parliament, Jan Rosenow reveals how little truth there is to such claims. Jan Rosenow is an energy efficiency expert with the Regulatory Assistance Project. A useful metric for assessing how economic energy savings are is to compare them with the cost of consumed energy. Analysis by the Regulatory Assistance Project shows that the cost of energy efficiency improvements delivered through public policies are typically around 2 cents (€) per kWh which is well below the cost of supplied energy (on average more than 10 cents per kWh). Most of those savings have been delivered in buildings. This is corroborated by data provided by the De-risking Energy Efficiency Platform, which is the largest pan-EU open-source database containing detailed real technical and financial data of more than 5,000 buildings-related energy efficiency projects. 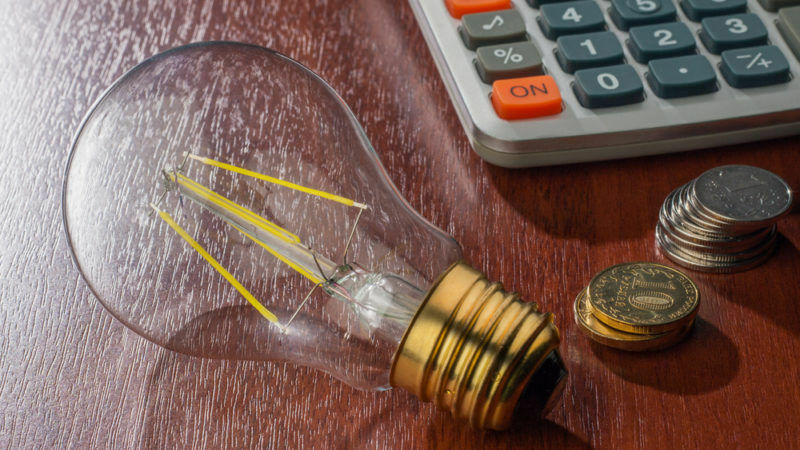 On average, the cost per kWh for building energy efficiency projects is 2.5 cents. International experience supports the European data. These data clearly show that the cost of “negawatt” hours is much lower than of megawatt hours. In other words, it is much cheaper to save one unit of energy than it is to supply one unit of energy. Even for deep retrofits, the costs are relatively modest. A study by Ecofys estimates the costs of deep retrofits to be in the range of 2-9 cents/kWh and the De-risking Energy Efficiency Platform provides a figure of 4 cents/kWh for comprehensive retrofits. It is sometimes argued that ambitious energy efficiency targets could result in higher energy costs to consumers. This is because in many member states energy efficiency improvements are mainly delivered through so-called Energy Efficiency Obligations on energy companies, that are funded through energy bills. In progressive taxation regimes, raising funds for energy efficiency through energy bills may be more regressive in that it applies more uniformly across income levels. Does this mean that more ambitious targets will push people into fuel poverty? In fact, the opposite is the case. The argument that energy efficiency programmes funded through a levy on energy bills push people into energy poverty is deeply flawed. Here’s why: the cost of funding energy efficiency measures is more than offset by the energy savings. And raising funds for energy efficiency through bills is a proven approach to consistently increase investments in energy efficiency outside of the volatility of public budgets. Focusing only on the cost of energy efficiency is inconsistent with what really matters to households and businesses: their total bill, not the unit cost of energy. Plenty of evidence shows the impact of Energy Efficiency Obligations on energy costs. The longest-running programme in Europe can be found in the UK, where, total household energy use fell by one fifth between 2004 and 2015. This despite a 12% increase in the number of households and a 10% increase in population. The bulk of this reduction derives from energy efficiency improvements, delivered through public policy, and in particular major insulation programmes funded by energy suppliers. How does this translate into energy bills? In short, households see a large net-benefit. The independent Committee on Climate Change has calculated that the average annual household energy bill was about €550 lower per year in 2015 compared to what households would have paid in that year in the absence of energy efficiency policies. This calculation includes the cost of the Energy Efficiency Obligations. Also, many levy-funded energy efficiency programmes contain specific requirements to deliver a certain amount of savings to those people on the lowest incomes. Examples of this can be found in Ireland, France and the UK. Claims that more stringent energy efficiency targets are too expensive and will increase energy poverty are simply misleading and not supported by the evidence. Now is the time to get serious about energy efficiency and put in place an ambitious EU policy framework that helps us achieve the Paris Agreement, reduce bills and energy poverty, and stimulate the economy. This cannot be achieved simply by wishing that “energy markets will deliver energy efficiency,” without either helping consumers or regulating energy businesses. International experience shows that where energy efficiency improvements have been delivered at scale they succeed either by providing incentives and other supports to consumers, or through regulatory requirements, or a combination of the two. With trilogue negotiations with the Council set to begin in 2018, the Parliament needs to confirm this strong message of support to efficiency.